Did You Ever Say, “He Won’t Let Me”? Who Is Running Your Life? I know what it feels like to grow up in a home being degraded, abused, bossed around, and feeling the deepest desire to run away. Perhaps you’re in a similar situation at home. Or perhaps you used to be. We cannot blame other people for our personal growth and level of self-acceptance. The only thing you can do is decide exactly what your truth is and stick to it. If there is a person in your life who is not honoring you or who is telling you what to do as if you were a puppet on a tight string, the greatest favor you can do for yourself is to remove yourself from the daily barrage of negativity and get into this process of asking God, your Higher Self, for guidance so that you can reclaim yourself and your life. I have heard many people, mostly women, who were in marriages or live-in relationships, say, “He won’t let me,” when those women wanted to do something. They allowed another person to literally control their lives, and they obeyed out of conditioned fear. Let the person know that you understand where he or she is coming from and that he or she is entitled to his or her views, opinion, and perspective. Then you can say, “I am the only one who can make my choices for me. I am going to do what I prefer because it is my life. I would certainly give you the same personal freedom to do what you prefer to do in your own life. I do not feel comfortable with your trying to run my life for me as if I were a small child. Therefore, please know that you are entitled to your views, but I am entitled to live my own life the way it suits me, for my happiness.” Then, do what you want to do! Alternatively, if the other person tries to hurt you in any manner, including threats, intimidation, or verbal or physical abuse, ask yourself how much you enjoy being treated this way. When you feel your truth, take a brave and bold step into your truth and out of the relationship. Those are your only two options. I have witnessed far too many people who grew up with a lot of abuse and then attracted abusive partners. I have seen these people suffer, and they are still suffering. I can only view them with compassion. They are people I grew up with, and I can no more tell them what to do any more than I can tell you what to do. We each have to live with our choices, and when we find ourselves miserable, we have to want to get out of the misery more than we want to remain in it. If someone is physically abusing you, I would guide you to call 911 and allow the police to remove the abuser from your life. There are laws against physical abuse, but perhaps you live in a country where there are not yet laws against domestic violence. Many people have chosen to leave situations of domestic violence; they simply started over. The greatest thing I can guide you to do is to write to God and ask for guidance with respect to your own personal circumstance and what you can do now, step by step, one day at a time, so that you can transform a living nightmare into the beautiful life you deserve. No one has the right to boss you around. But even in America, many people allow themselves to be bossed around. You can receive help if you ask for it. You can start over and re-create your life from scratch. Many loving people are available in this world to guide you toward the help and resources you need on the physical level while you continue your personal growth and transformation on the emotional and spiritual levels. © Copyright 2011 Barbara Rose, PhD All Rights Reserved. Excerpt from the book Dear God, How Can I Finally Love Myself? (Published by The Rose Group, October 2006) ISBN: 0974145769. 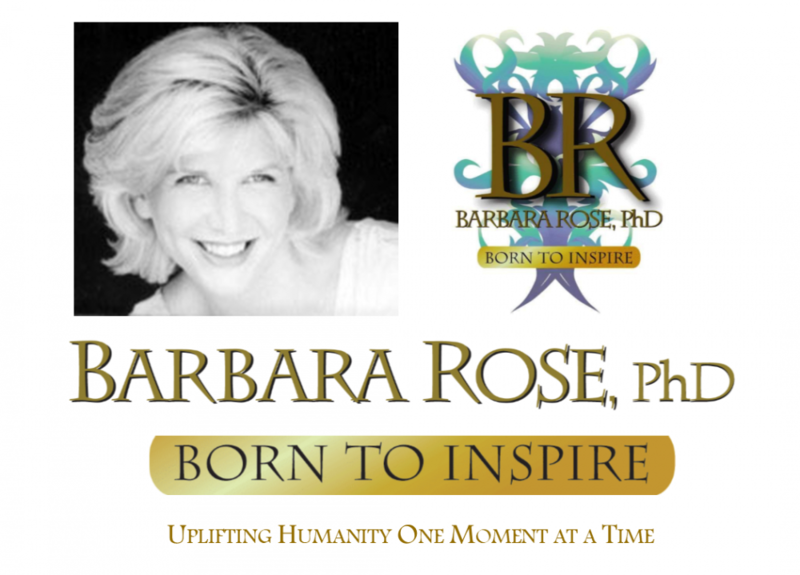 This entry was posted in Browse Relationships, Exclusive Book Excerpts and tagged Barbara Rose PhD, Control Abuse, Courage, personal transformation, relationship doormats, relationship transformation, Self Empowerment, Self Love, Your Love Life by Barbara Rose, PhD |Born To Inspire | Bestselling Author| Life Transformation Expert. Bookmark the permalink.